By Megan O Brien | March 16, 2019. Communities surrounding the site of the new children’s hospital are going to be significantly impacted in a number of ways due to a lack of sufficient infrastructure in the area. Issues have already began to crop up and more can be expected including major traffic congestion, parking problems and further increases in rent and home prices. City Councillor Michael Mullooly (Fianna Fáil) said the area is not prepared for this new hospital. “A lot more needs to be done in terms of transport and infrastructure in the area,” he said. This problem is arising due to the huge volume of construction traffic that needs to access the site and park every day. This is also creating a major traffic congestion issue in the area. Mr Mullooly said this is an issue that “should have been foreseen and prepared for” and that if the issue is significant now, it will be worse when the hospital opens. The plans for the children’s hospital include an underground car park with 1,000 car park spaces, 675 of which will be specifically for patients and families. However, there are now concerns that this will be enough. The LUAS stops at St James and the 40,13 and 123 bus routes stop nearby, but the reality is that these services are completely overrun and can’t even meet current demand. Locals report that these public transport services can be so full at rush hour times that “you would have no chance of getting on” and that buses often don’t even stop, “they just keep driving”. Due to the lack of sufficient public transport, people will opt for driving, meaning locals are facing even heavier congestion in the area which ultimately has a bearing on other things such as rent. On top of all this, Mr Mullooly also reports receiving complaints from locals regarding noise and air pollution. 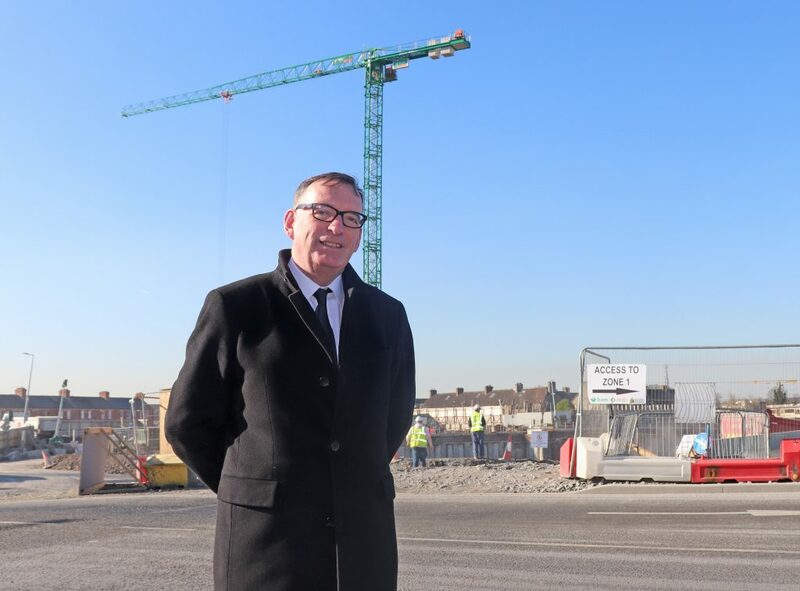 According to him, many in the Rialto and Kilmainham areas are finding the noise of the construction very disruptive and the dust in the air is also an issue with some finding they need to clean their windows weekly. The children’s hospital will be the most significant capital investment project ever undertaken in Ireland and is set to have state of the art facilities in all departments. But this doesn’t come without a price and it’s not just the government that’s going to pay for this one.